Phone intercepts between the head of the fisheries department and a Spanish tuna rancher linked to a multimillion-euro racket were “just the tip of the iceberg”, sources close to the case said on Tuesday. She denies the claims made in her regard. 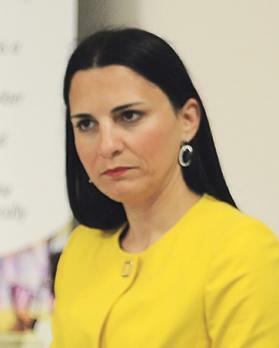 Dr Fenech Farrugia had already been removed from her post by a Nationalist administration in 2010 and transferred to the Malta Competition and Consumer Affairs Authority. She was reinstated at the Fisheries Department when Labour returned to government in 2013. She was suspended after phone intercepts published by Spanish news outlet El Confidencial suggested she was involved in the tuna corruption racket. The documents, which form part of a Spanish court case due to begin in the coming days, date that conversation as having taken place last June 20, when EU fisheries heads were meeting under the auspices of Bulgaria’s EU Council presidency. Questions sent to European Fisheries Commissioner Karmenu Vella on Tuesday remained unanswered at the time of writing. Dr Fenech Farrugia said in a statement she had “always observed and employed the highest standards of diligence and professionalism in my work. I always took the necessary legal steps against all operators, at all times, when any illegalities were detected”. She later told Times of Malta she had never demanded or received any irregular payments. 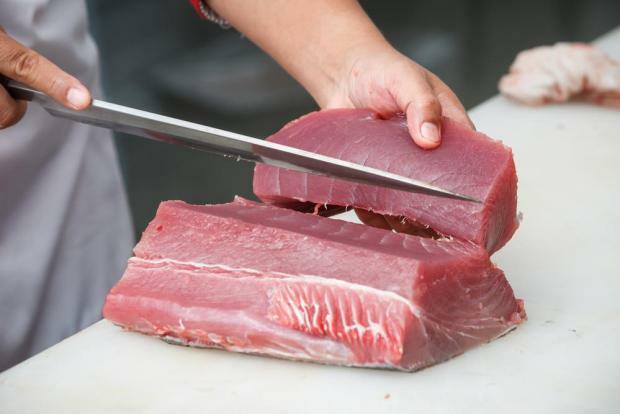 Investigators both in Malta and in Spain are working on the theory that contacts in Malta helped the Fuentes Group import undeclared tuna into Spain, bypassing quota restrictions. The authorities suspect the illegal trade amounted to up to €25 million. Mr Fuentes sits at the top of a multinational empire that covers more than 40 different companies. Tuna, however, is the family crown jewel and the Grupo Fuentes is the world’s largest seller of Atlantic bluefin tuna. The company has a Maltese subsidiary firm, Mare Blu Fishing, the only local tuna farming operator not to form part of the Maltese fish farming lobby. In a statement, the lobby – the Federation of Maltese Aquaculture Producers – welcomed Dr Fenech Farrugia’s suspension. “We need to ensure that the industry’s reputation is safeguarded,” CEO Charlon Gouder said. The government said it was collaborating with the authorities in the ongoing investigations to establish all the facts of the case, even in the best interest of the fisheries and aquaculture sector. The Maltese police, it said, had involved Europol to receive information from Spain. Read: Meanwhile, other investigations by the Malta police were continuing and an inquiry led by Magistrate Gabriella Vella was ongoing. Police sources said the magisterial inquiry was looking into the operations of a number of Malta-based offshore fish farms. They also said that central to the case was the theory that “a fisheries official” had made a dubious request to raise the island’s tuna export quota “dramatically” from 3,000 to 4,000 tons. Such requests would normally require a series of top-level signatures. However, it was suspected that, in this case, things were speeded up. The request was eventually blocked and the sources indicated more evidence related to this matter could emerge.